Human chorionic gonadotropin (HCG) is a hormone found in the human body during pregnancy. One of the key purposes of this hormone is to regulate the maintenance functions of the brain. During the course of a pregnancy, HCG helps protect the fetus by removing excess deposits of fat as well as providing many benefits to the mother. HCG is also thought to be a “pro-hormone”, which influences the body to produce additional hormones such as testosterone. It is these unique properties that make Human chorionic gonadotropin injections for weight loss an exciting possibility. 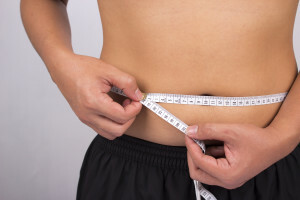 How do HCG Injections for Weight Loss Work? While generally the HCG is only produced during pregnancy, it can be introduced into the body through supplementation. Typically this comes in the form of pills, drops, sprays, or injections. However, only HCG injections for weight loss have been found to actually raise your body’s level of HCG. Shots are given in a cycle from 20-40 days (in doses much smaller than those found in pregnant women) and are coupled with a strict low-calorie, low-fat diet. If you’ve tried a crash diet before, you might be wary of being able to maintain this level of calorie restriction. However, this is where HCG injections for weight loss work their magic. The hormone interacts with the maintenance centers of your brain, temporarily reducing your sensation of hunger. Used in the short-term, the combination of a low-calorie diet and HCG’s appetite suppressing properties may be an effective tool for weight loss. Additionally, HCG injections for weight loss may also be effective in helping you maintain your weight loss. Low-calorie diets are notorious for causing severe muscle loss. This is a problem for many reasons, but it also leaves you with a much lower metabolism than you had before you began. Muscle burns energy much more efficiently than fat. Simply put, the more muscle you have, the more calories you burn by doing nothing. Taking HCG injections for weight loss helps you not only to shed the pounds, but it’s specific fat burning properties and increased testosterone production may help preserve your muscles. This leaves you thinner, leaner, and stronger, not emaciated and weak. Losing weight is hard, but that’s okay! It’s far from impossible. While it may be tempting to resort to radical invasive procedures to lose weight, these aren’t the only options. Using HCG injections for weight loss is based on a long history dating back to Dr. Simeons in the 1930s. HCG is naturally occurring in the human body and used in much smaller doses than those found during pregnancy. HCG injections for weight loss simply take something that is already found in the body and takes advantage of it’s unique fat burning and appetite suppressing properties.